It is without doubt that a company is comprised of many departments handling different components that is required to operate the business. 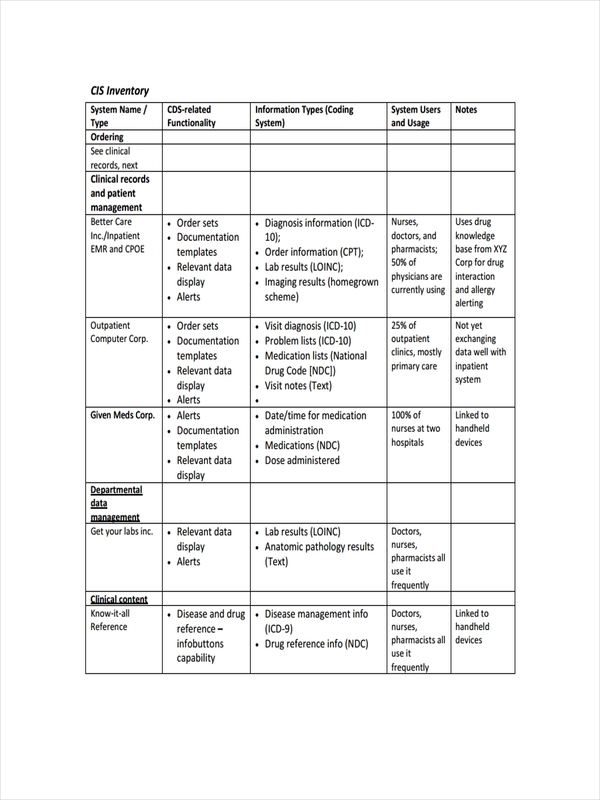 Within each department, a system exists that form basis or control of specific functions in relation to the operations involved in that department. Other examples such as asset inventory and inventory examples are found in the site. They can be accessed by searching the home page for an example that you like. All examples in the site are available for download by clicking on the specific download link button below the sample of choice. What Does a System Inventory Mean? 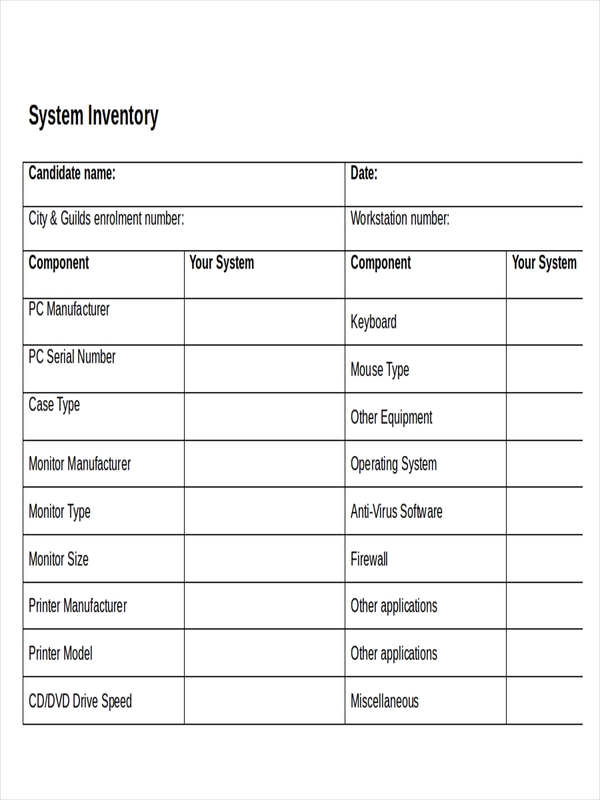 A system inventory contains a list of all the system resources within a business or company. For example, in a simple IT system inventory, a mention of an existing system like SAP which is an enterprise planning software would be present. It would show information relating to that system including the person responsible for maintaining the system. 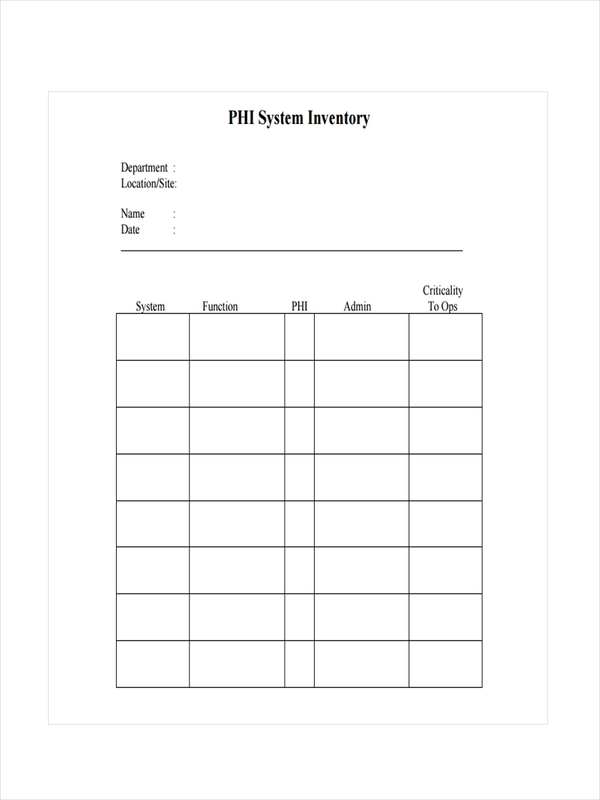 Inventory examples in Doc seen on the page provide additional information regarding a system inventory. Feel free to click on an individual sample’s download link button located below the sample to get a closer look at the sample. 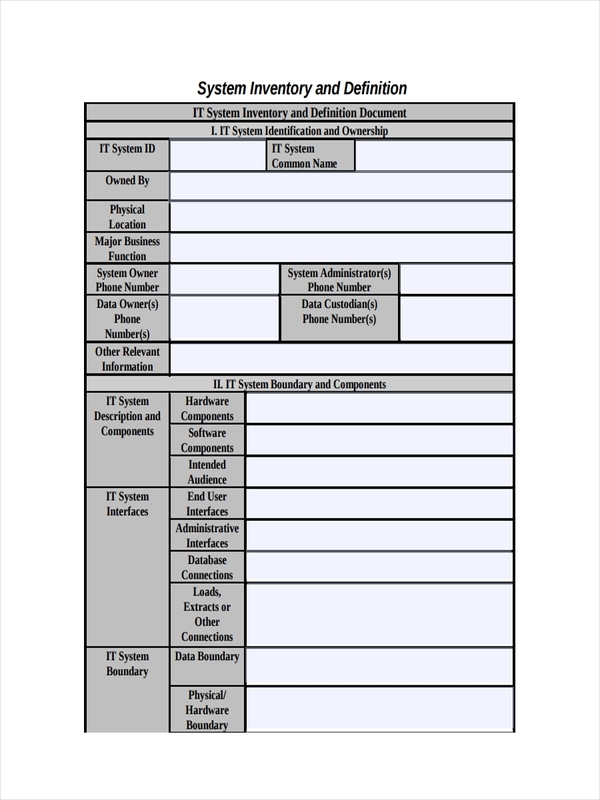 First determine the different systems existing in your company. The systems can further be subdivided into different systems but under a single department. 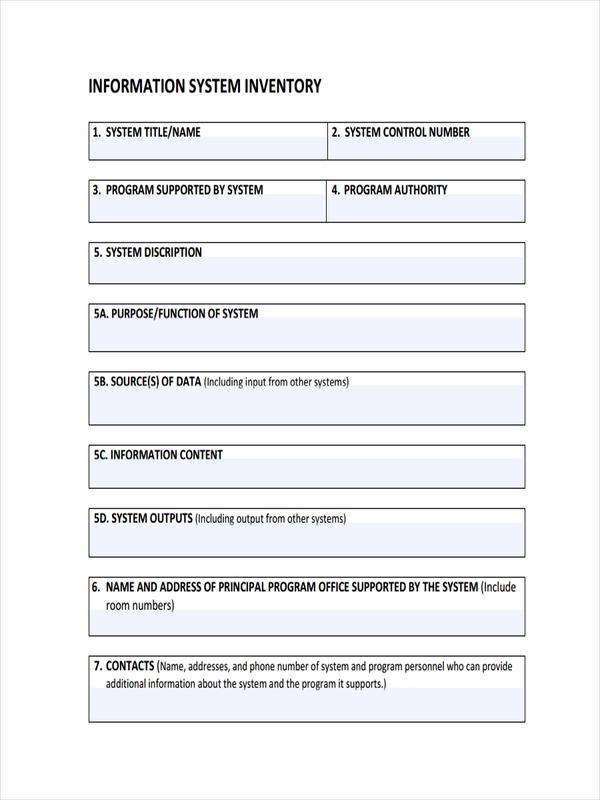 Information pertaining a system must be complete which may include all details such as the name of the system, key components to the system, quantities and other important information regarding that system. 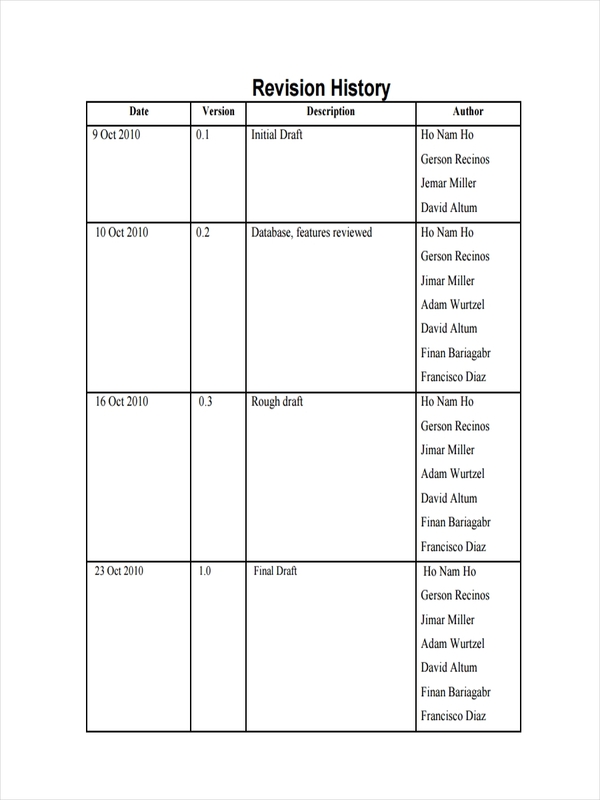 Inventory examples in PDF are shown for your reference. They are downloadable and can be accessed by directing your mouse to the download link button beneath the sample. Setting up an free inventory system for your business today is quick and easy. 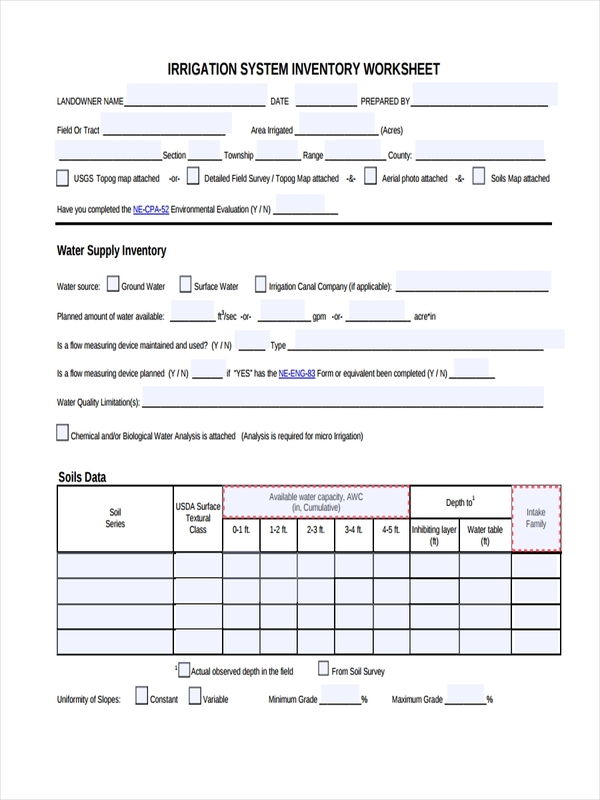 There are many inventory system software available online that you can easily download and use. However, the following still have to be made before, during, and after the purchase of such software. Software, after all, does not run by itself. It needs input from us humans. Do a physical count of items in your business on last day of a business month. Be sure to take note of damaged and obsolete items as well but place them in a different category. Input a starting inventory count for each inventory item which will be the basis for comparison or balance at the start of the next business month. Purchases must also be included and added as most inventory software does this. Corresponding information such as cost must also be added. At each month end, analysis for your inventory will be available and automatically computed for you. 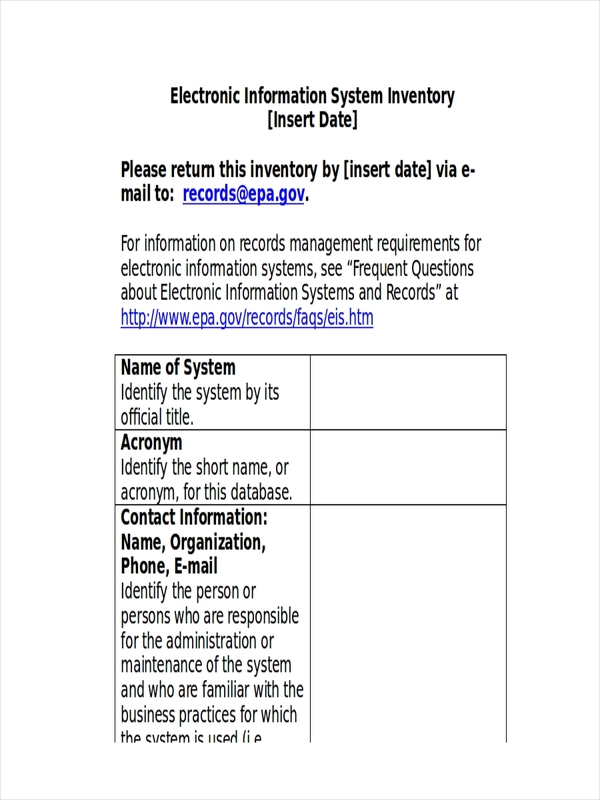 Inventory samples can be viewed by downloading the sample file on the page. Just click on the download link button below the sample to do so.